Every time we mention holy occurrences related to H.H. Dorje Chang III Wan Ko Yeshe Norbu Holiest Tathagata, our discussions never ends. Such are the facts. Wherever H.H. Dorje Chang Buddha III goes, mysterious and unexpected phenomena nearly always appear. It seems abnormal for holy phenomena not to appear. For example, there was one time when H.H. Dorje Chang Buddha III practiced the Torma Offering Dharma in which food was offered to the Buddhas and then given to living beings. The most excellent and precious food offered to the Buddhas that time was nectar pills made from mixing real nectar bestowed by the Buddhas at the invocation of H.H. Dorje Chang Buddha III together with flour and butter. Those nectar pills were hand-made the night before by rinpoches, dharma teachers, and others. Many holy phenomena occurred at that dharma assembly during the course of making offerings to the Buddhas. First of all, an image of Sakyamuni Buddha was in the middle of the mandala that day. An image of Dorje Chang Buddha, the primordial sambhogakaya Buddha, was above the image of Sakyamuni Buddha. To the right of the image of Sakyamuni Buddha were holy relics of the Buddha. To the left of the image of Sakyamuni Buddha was an image of Guru Padmasambhava. A bright-colored array of fresh flowers, rare fruit, various types of food made from Tibetan roasted barley flour, fragrant cheese, and other offerings dazzled the eyes and filled three offering tables. The nectar pills were placed in the middle of the offering tables. Before offerings were made to the Buddhas, the nectar pills were placedinside a jade bowl. At that time, the nectar pills were level with the lower edge of the brim of the bowl. Those nectar pills were piled up evenly and filled the entire bowl. The Buddha Master later empowered the fifty-nine attendees of that dharma assembly by giving each of them some of those nectar pills. As a result, the nectar pills that remained in the jade bowl were lower than the lower edge of the brim of the bowl by about 1.5 centimeters. We saw that the nectar pills neither lessened nor increased from 7:03 p.m. when the practice of the dharma began until around 8:10 p.m. when the offerings of the three karmas to the Buddhas was completed. At that time, a holy event nobody ever imagined suddenly took place. In an instant, the nectar pills grew in number. Not only did the pile of nectar pills rise more than 1.5 centimeters filling the entire bowl, its top part formed a dome that rose high above the brim. Everyone was ecstatic at the sight of that holyoccurrence. Furthermore, the nectar pills were moist and soft right after they were made. Everyone decided to use a microwave oven to dry the nectar pills so that they would become dry and hard as soon as possible. A few dharma teachers placed four nectar pills inside the microwave oven as a test to determine the appropriate microwave time. Shortly after those nectar pills were placed inside, to everyone’s surprise the microwave oven began emitting smoke and a burning scent. Everyone quickly took out those pills only to discover that two of them were burning and had become like black coal, while the other two were still their original bright red without any sign of being burned. Second, the Buddhas, Bodhisattvas, and dharma protecting deities bid farewell to H.H. Dorje Chang Buddha III when that dharma assembly to make offerings to the Buddhas ended. At that time, the starry and cloudless sky suddenly rumbled with thunder four consecutive times. All of the people there heard this. Of course, that was the laughter of the dharma protecting deities. It was the height of summer in the Los Angeles area. It had not rained for a few months, and the sky was full of stars. How could there be thunder under such circumstances? What I have just described is merely one example from among the many feats of H.H. Dorje Chang Buddha III. Actually, we at the International Buddhism Sangha Association often receive emergency phone calls. In the vast majority of those phone calls, the caller beseeches H.H. Dorje Chang Buddha III to save his or her life or the life of another person. Of course, without exception, those close to death take a turn for the better and are out of danger after being empowered by H.H. Dorje Chang Buddha III. We then receive their calls expressing gratitude toward H.H. Dorje Chang Buddha III. Thus, in our eyes H.H. Dorje Chang Buddha III truly acts as an emergency treatment center that relieves the sufferings of all living beings. At times like those, H.H. Dorje Chang Buddha III often promptly gives a discourse to everyone about how the law of cause and effect, or karma, never fails or about how living beings must cultivate themselves in order to change or postpone karmic retribution. H.H. Dorje Chang Buddha III has told us that it is useless to rely on empowerment alone. Althoughempowerment has the effect of temporarily blocking one’s karmic hindrances, one will ultimately still experience karmic retribution if one does not cultivate oneself. One day we learned that a layperson with the surname Yan had contracted cancer of the nose and pharynx (nasopharyngeal carcinoma). For seven days and seven nights, he only ate a few spoonfuls of thin rice gruel. He was in the final throes of late-stage cancer with only a few hours left to live. There being no alternative, H.H. Dorje Chang Buddha III was asked to save him. H.H. Dorje Chang Buddha III told him that his situation was the manifestation of karma, or cause and effect, and that there was no way to save him. However, being unable to withstand the strenuous and sorrowful supplications of layman Yan’s family, H.H. Dorje Chang Buddha III went to layman Yan and gave him a nectar pill. Unexpectedly, after this person who was on the brink of death ate that nectar pill, he regained a clear state of mind that very evening. In less than a half month, his cancer disappeared, and he became completely well. He even taught people the martial arts. His entire family was tremendously grateful to H.H. Dorje Chang Buddha III. However, H.H. Dorje Chang Buddha III simply said, “What I did is of no use if he does not cultivate himself. He will still pass away.” Given these words of His Holiness, what happened to him five years later was indeed expected. Although his cancer had completely disappeared, his mouth ulcerated as a result of his previous late-stage cancer. He was no longer able to speak clearly. One day he suddenly came up with a strange idea. He decided to use the flesh on his body to fill the gap in his mouth caused by the ulcer. Layman Yan died in the hospital as a result of that operation. Thus, I would like to sincerely offer the following advice. We should not hope that H.H. Dorje Chang Buddha III will completely eliminate our karmic forces simply because H.H. Dorje Chang Buddha III is alive in our world today. First of all, do you have the karmic affinity to meet His Holiness? Even if you meet the Buddha Master, will the Buddha Master accept you as a disciple? 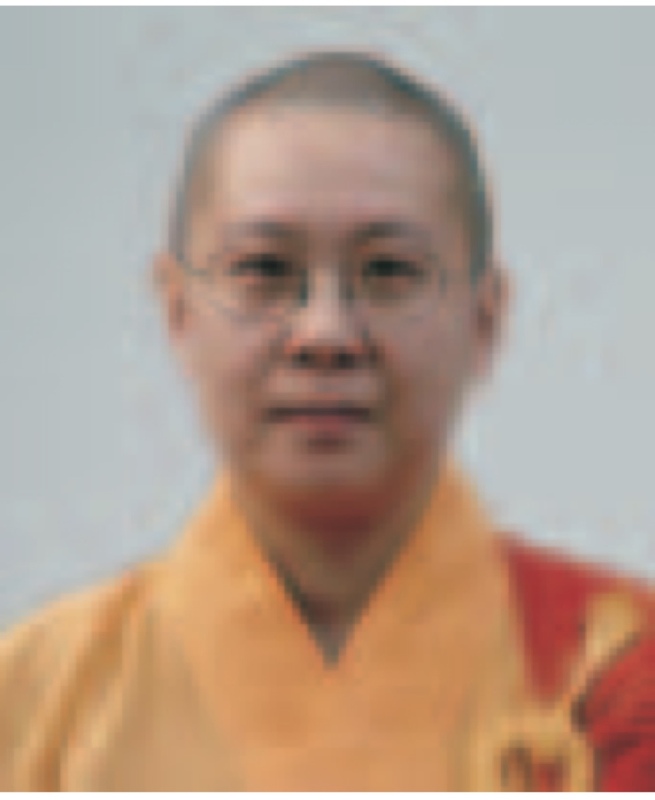 Even if you are accepted as a disciple, do you practice virtue such that you are qualified to learn the Buddha-dharma? Evenif you learn dharma transmitted by the Buddha Master, can you practice that dharma with your three karmas perfectly corresponding with the teachings of the Buddha Master? We should avail ourselves of the time this Buddha is in our world to follow the correct course of cultivation shown to us by H.H. Dorje Chang Buddha III and practice the highest Buddha-dharma that His Holiness has taught us. This applies to our daily lives and daily meditation. We will then be able to truly attain good fortune, wisdom, accomplishment in the dharma, and liberation! We personally attended the Torma Offering Dharma Assembly conducted by H.H. Dorje Chang Buddha III that Dharma Teacher Jue Hui spoke of above. The nectar pills did not increase in number at the beginning of the dharma assembly. However, they suddenly increased in number about one hour after the dharma assembly began. Two nectar pills that were burned black were buried among all of the other nectar pills. A few minutes later, those two pills could not be found. When the dharma assembly ended, the dharma protecting deities emitted the rumbling sound of thunder in the sky four consecutive times. All of these things are true manifestations of the magnificent Buddha-dharma. Some of us were directly involved with the case of Mr. Yan and other cases mentioned above, and some of us were not. Thus, what are attesting to here through our signatures only relates to what happened at the Torma Offering Dharma Assembly conducted by H.H. Dorje Chang Buddha III. We are Buddhist disciples. We do not speak falsely or deceive living beings, knowing that in so doing we would experience karmic retribution.